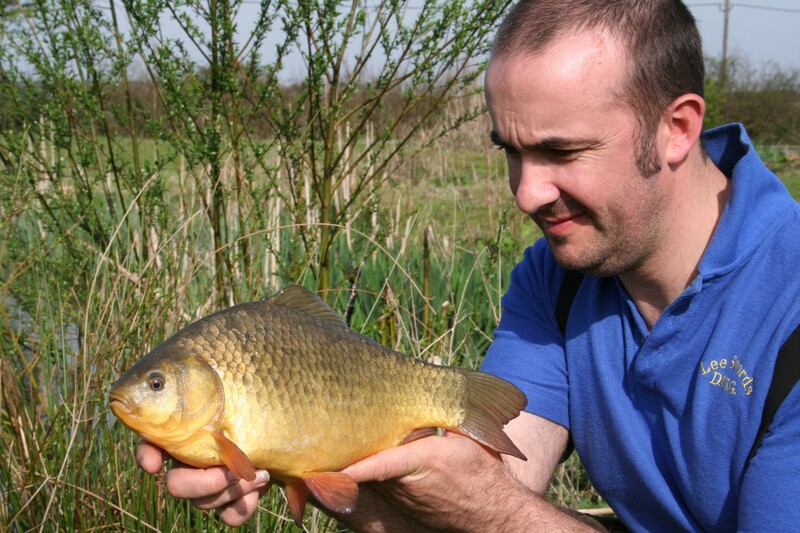 Crucian Carp…In search of Gold! Mike Townsend arrived on the dot and by 2.30 am the car had been fully loaded and we were well on our way towards the nearest junction of the M1 motorway and from there the beginning of the long journey south. The mood within the car was upbeat and optimistic as the weather was mild and settled and had been for more than a week. 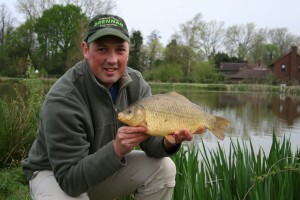 It was time to go chasing Crucian Carp otherwise known as “southern gold”. 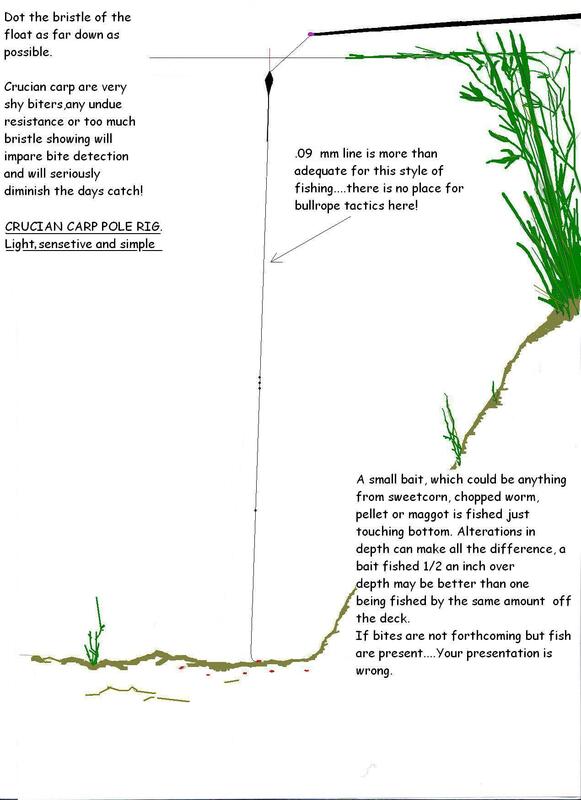 For anyone that hasn’t caught a very large Crucian Carp…and by that I mean anything over 2lb’s, it is actually difficult to understand the degree of beauty the fish is capable of and when I say Crucian Carp I mean a full blooded non tampered with genetically pure fish and not one of the fairground prizes that are stuffed into muddy versions of a hook-a-duck booths at the local fairground…or should that be hook-a-chuck? F1 Hybrids…Not even a species! 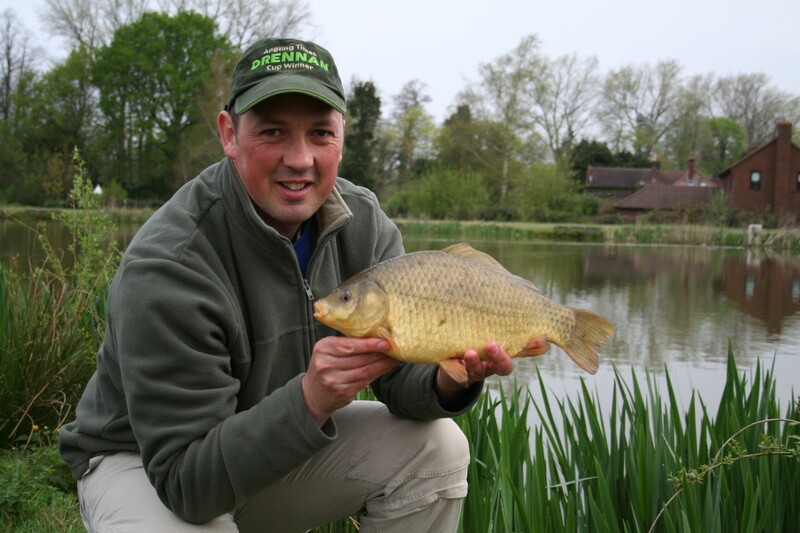 A pure blood Crucian can make a claim on being the most attractive fish in our waters with only Rudd being a possible threat to that title. They truly are a stunning fish…Goldfish for all their lurid qualities and physiological similarities are not Crucian Carp either…not even if they stay brown! 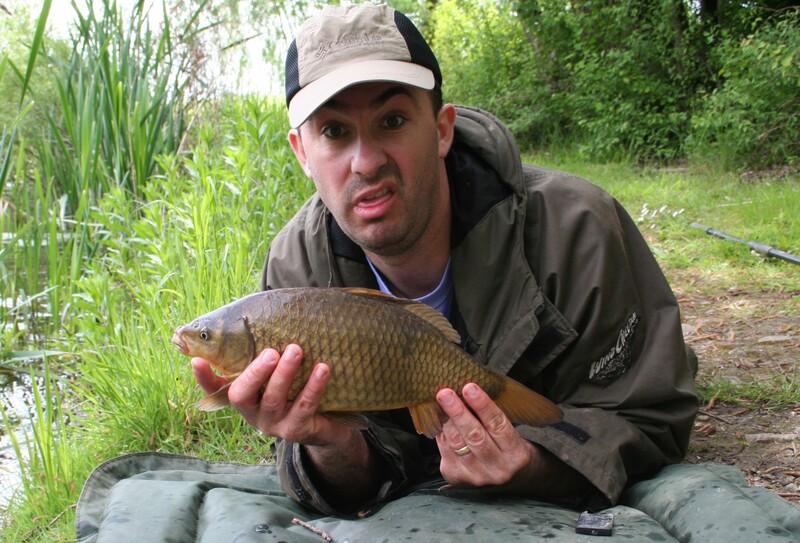 For anyone that has possibly dropped of the planet, Marsh farm is and has been for the last few years “THE” place to be if you really, absolutely, positively and with a loaded gun to your head need to break the 3lb Crucian barrier. The entire place is stuffed with them and even though they are by nature a very shy biting and finicky fish to get to feed and hook…they are far from impossible if you follow a few simple rules. The rules are simple and few. 3. Fish fine, There is no point in fishing “carp” style for these fish as they simply will not have it, not on a regular basis anyway! Keep it fine and light. I used a 0.09 mainline with a .3g fine bristle pole float with a size 18 barbless wide gape hook that held one hooking pellet perfectly. 4. 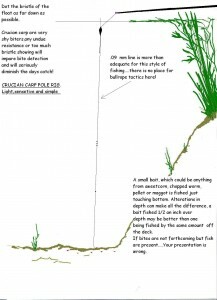 Feed sensibly, there is little point in balling in massive amounts of loose feed. A brace of tangerine sized balls of Dynamite Baits swim-stim groundbait loaded with plenty of 1mm pellet is ample to kick start a swim. Then simply feed to bites. That is 0.09 line and not steel cable…sorry for the typo! Once hooked the fish bump around in circles doggedly but with no real drama involved. The drama is when you land them….They are breathtakingly stunning to look at! Three hours after leaving Gods own county the northern raiding party was pulling away from the M25 which had thankfully behaved itself for once and were heading towards the final destination of “Mash farm”. The venue is stunning and when we arrived there were dozens of Muntjack Deer playing by the side of the lakes. 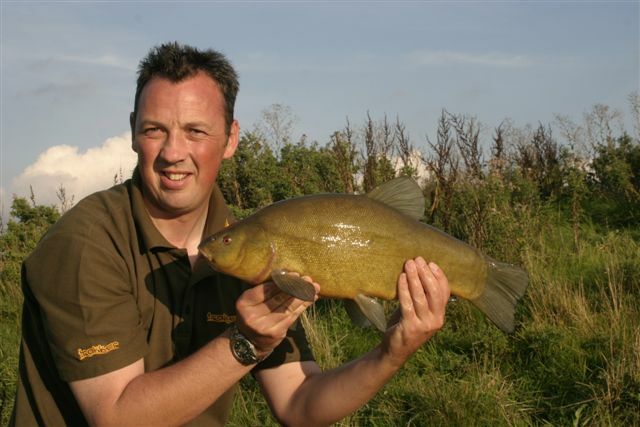 By 6am the first fish was on the bank and it was quickly followed by more as Mike landed a steady procession of biggish tench to 5lb 8oz, nice fish but the emerald hues of the slimy locomotives were unwelcome visitors to the bank as it was gold we were after today! Luckily for us however the Tench couldn’t entirely monopolise the feed and eventually the Crucian carp arrived to have an early brunch/late breakfast. 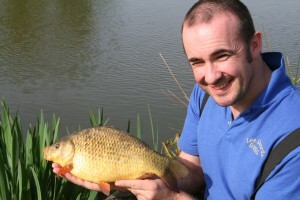 Mike struck first with a fish of 3lb on the nose then I had one at 3lb 6oz. By the end of the day we had between us a bag of Crucian carp worthy of anyone’s Pb list and we retired home happy anglers with our mission completed but with plans to return as soon as possible! Cracking crucians, I’ve struggled to hook in to anything over 1lb, can’t get a good hookhold, any tips for a newbie? 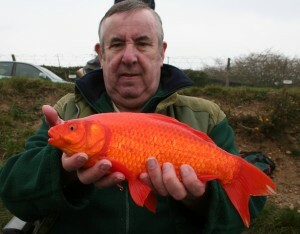 I totally forgot about Marsh Farm, i’ve never been but I will do now after seeing these cracking crucians, great blog!